United Nations, Feb 7: “Temperatures are only part of the story. Extreme and high impact weather affected many countries and millions of people”, stated UN Secretary-General Antonio Guterres After new data released by the UN World Metrological Organization (WMO) showing the past four years were official “Four warmest on Record”. 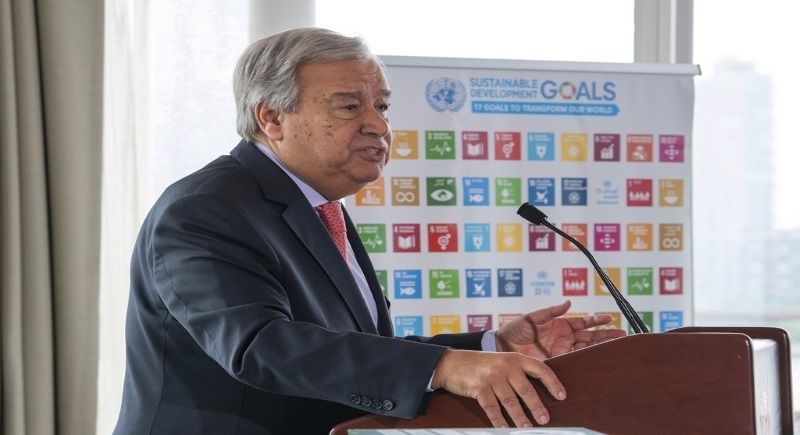 In the wake of data presented by WMO, Antonio Guterres called for urgent climate action and increased ambition, ahead of his climate summit in September. The reaction of Guterres came on Wednesday after WMO issued a report confirming that 2015, 2016, 2017 and 2018 were the four warmest years recorded to date. The analysis, based on the monitoring performed by five leading international organizations, also shows that the global average surface temperature in 2018 was approximately 1° Celsius above the pre-industrial (1850-1900) baseline. He stated that it confirms “the urgency of addressing climate action”, and echoes the science presented by the Intergovernmental Panel on Climate Change (IPCC) in its October 2018 special report on the impacts of global warming of 1.5°C. The Secretary-General is working closely with Member States and non-party stakeholders to enable outcomes in these areas to the Summit, in order to send “strong market and political signals that can inject momentum into the race” to meet the goals of the 2015 Paris Agreement, in which countries committed collectively to limit global warming to 1.5°C above pre-industrial levels. It will be accompanied by a UN-wide policy recommendations statement for decision-makers on the interplay between weather, climate and water supply, and the United Nations’ Sustainable Development Goals (SDGs). To boost ambition and accelerate actions to implement the Paris Agreement on Climate Change, UN Secretary-General António Guterres will host the 2019 Climate Summit on 23 September to meet the climate challenge. The Summit will showcase a leap in collective national political ambition and it will demonstrate massive movements in the real economy in support of the agenda. The Summit will focus on nine key areas: mitigation ambition; energy transition; industry transition; nature-based solutions; infrastructure, cities and local action; climate finance and carbon pricing; resilience and adaptation; social and political drivers; and mobilization.